Turbo Air TSR-49SD-N6 Super Deluxe Series 54" Solid Door Reach-in Refrigerator | Brittania Food Equipment Ltd. Early warning alarm program detects issues before malfunction occurs. Rapid cool-down function (Turbo cooling). 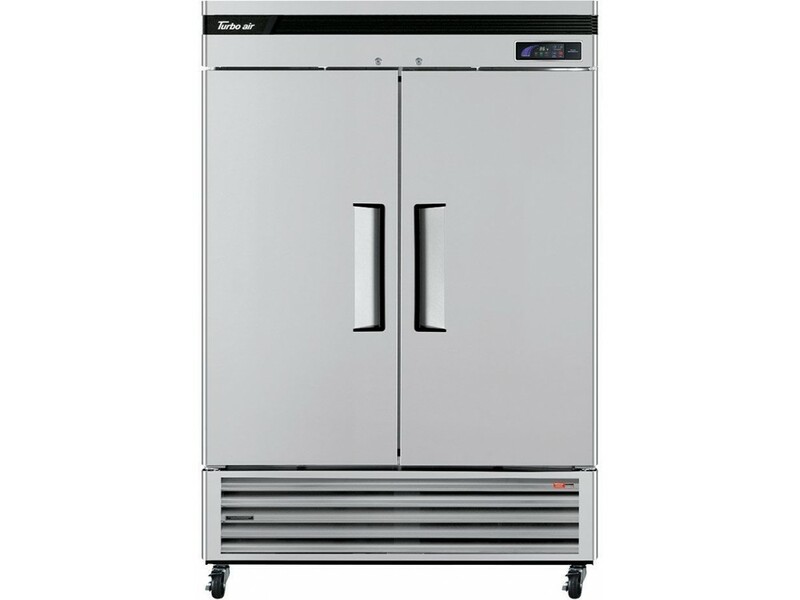 The Turbo Air Super Deluxe model boasts a stainless steel interior and exterior (galvanized steel top, bottom and back). It guarantees the utmost in cleanliness and long product life. Sharp corners and edges have been rounded to reduce the risk of injury. The Super Deluxe adds a touch of style to the most refined setting. Pressure relief doors are designed to eliminate vacuum pressure and allow easy, instant door opening.